Today we are going to discuss about ABS technology used in automobile. If you use car, you have heard this term many time in your life. When we go for purchase a new car and the salesman told us this car is with new safety feature ABS. That time we are surprised what is ABS? Why it is needed in our vehicle? Today I am going to answer all of those questions coming in your mind about ABS. 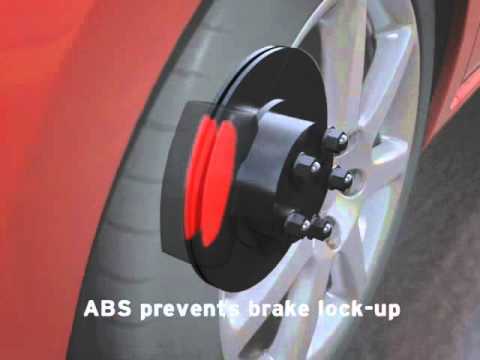 ABS means Antilock Braking System. What is antilock? To understand ABS fully first we have to know why we required it. We know that when we applied brake, it pushes the brake pad on running drum or disk. For heavy loaded vehicle we need to high braking force to stop of slow down the vehicle. 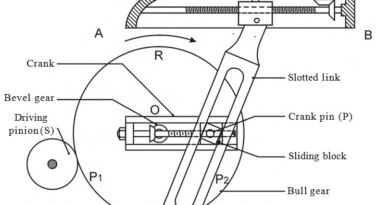 This braking force generate by some means like hydraulic pressure, Air pressure etc. When the vehicle is running and we want to stop the vehicle we push the brake pedal. Due to excessive braking causes skidding. This skidding jam the wheel but due to inertia the vehicle tends to skid on the road and it became out of control from driver. This is called locking of the wheel. This is understood by that when we run on the floor and eventually tends to stop we slip down on it. This is exactly true for the vehicle. This type of locking is harmful for driving and may cause accident. So we have to remove it use of a new safety system. This system is called ABS. We have been already explained how locking of road wheels due to excessive braking causes skidding. Modern antilock brake systems not only cause the vehicle to stop without deviating from its straight line path, these also provide directional stability since there is no skidding of the wheels. Skidding is avoided by releasing the braking pressure just before the wheels lock up, and then reapplying the same. These releasing and reapplying the brakes in succession is what an antilock system does and this process is called pressure modulation. This system can modulate the pressure to the brakes about 15 times per second. The feel of brake pedal in case of ABS equipped brakes is quite similar to that of conventional power brake system. A ABS consist of an electronic control unit, one sensor on each wheel, an electrically driven hydraulic pump and a pressure accumulator. Accumulator is used to store hydraulic fluid to maintain high pressure in the braking system and to provide residual pressure for power assisted braking. ECU monitors and controls the antilock function when required. Its function is based on inputs from the wheel speed sensors and feedback from the hydraulic unit to determine whether the ABS is operating precisely and also to decide when the antilock operation is required. In some antilock braking system, a lateral acceleration sensor is also provided to monitor the side movement of the vehicle while taking a turn. This ensures proper braking during turns also. When the front wheels of vehicle are locked, its maneuverability is reduced, whereas in case of rear wheel locking, the vehicle stability is reduced. ABS calculates the required slip rate of the wheels accurately based on the vehicle speed and the speed of the wheels and then controls the brake fluid pressure to achieve the target slip rate. Although ABS prevents complete locking of the wheel. ABS is manufactured by Bendix, Delco Moraine, Kelsey-Hayes Lucas Girling, Bosch etc. Today we have discussed about ABS technology. If you have any query regarding this article,ask by commenting. If you like this post don’t forgot to share it. Subscribe our website for more informative articles. Thanks for reading it.